View OUT/LOOK Issue #9 at the Lesbian Poetry Archive. 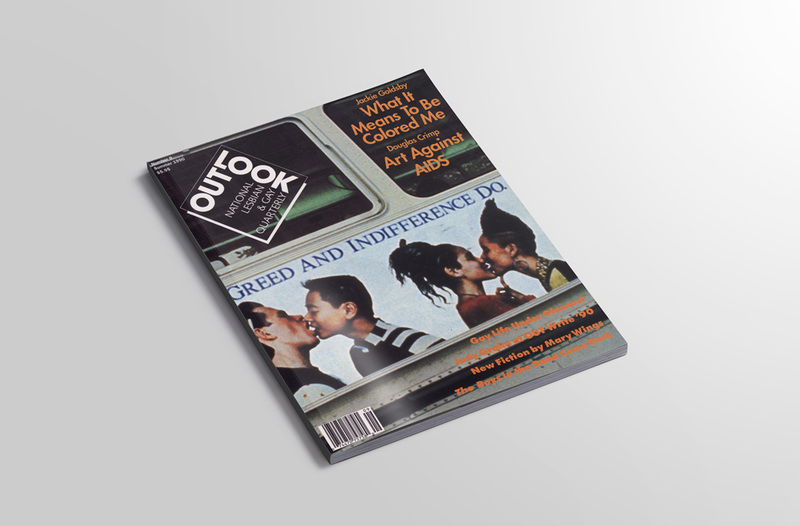 There is so much in this issue of OUTLOOK that resonates twenty-seven years later, particularly regarding identity politics, race, and healthcare. But in this critical time, Summer 2017, this line from Jackie Goldsby’s’s essay “What it means to be Colored Me” jumps out as particularly relevant, and comprehensive. (The quote is positioned as it was on Page 10, as if the rest of the page were whited out, and enlarged 5 times) How can we as queers now work in solidarity with other groups for racial justice and the shared goal of a joyous life in which housing, education, employment, healthcare, and a healthy environment are understood as givens, rather than privileges reserved for a few? How can we work against the capitalist imperative that divides, privatizes, and isolates? And who, then, do we call our own? 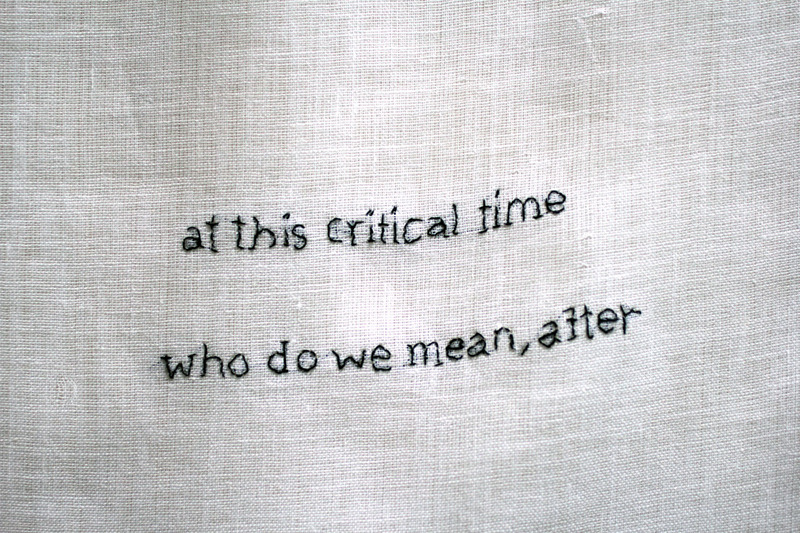 A. Laurie Palmer is an artist and writer who teaches in the Art Department at the University of California, Santa Cruz. 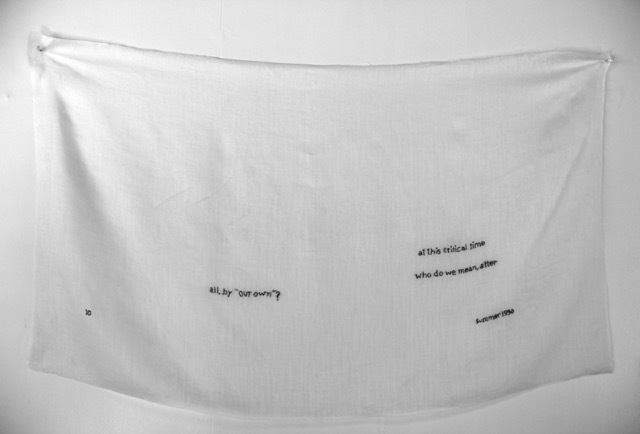 Her work, which takes form as sculpture, installation, writing, and public art, is concerned with material explorations of matter’s active nature as it asserts itself on different scales and in different speeds, and with collaborating on strategic actions in the contexts of social and environmental justice. Her book In the Aura of a Hole: Exploring Sites of Material Extraction (Black Dog, London, 2014) investigates what happens to places where materials are removed from the ground, and how these materials move between the earth and our bodies. 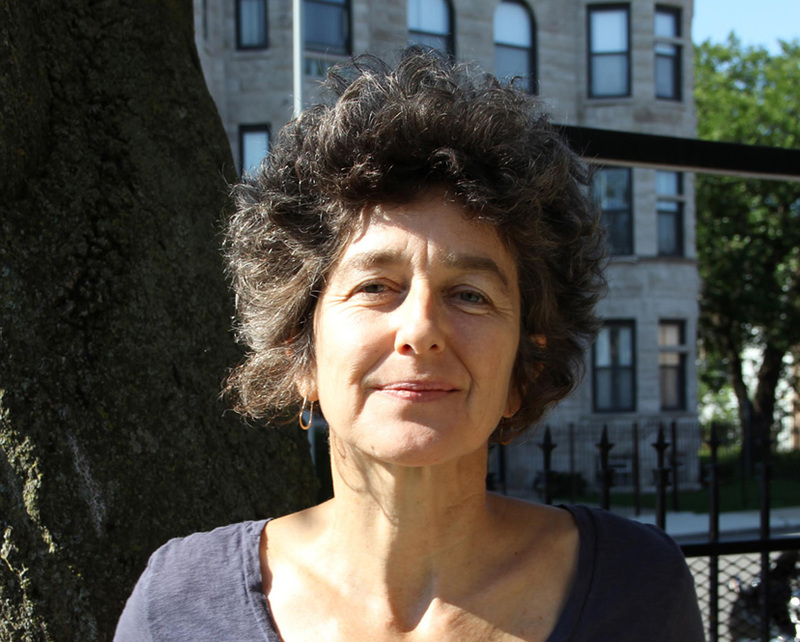 She helped found Chicago Torture Justice Memorials (CTJM), an organization which helped win, in 2015, historic reparations legislation for African Americans tortured by Chicago police (using art as a central organizing factor), and which received a 2017 Robert Rauschenberg Artist as Activist grant to continue work on creating a memorial for the survivors.